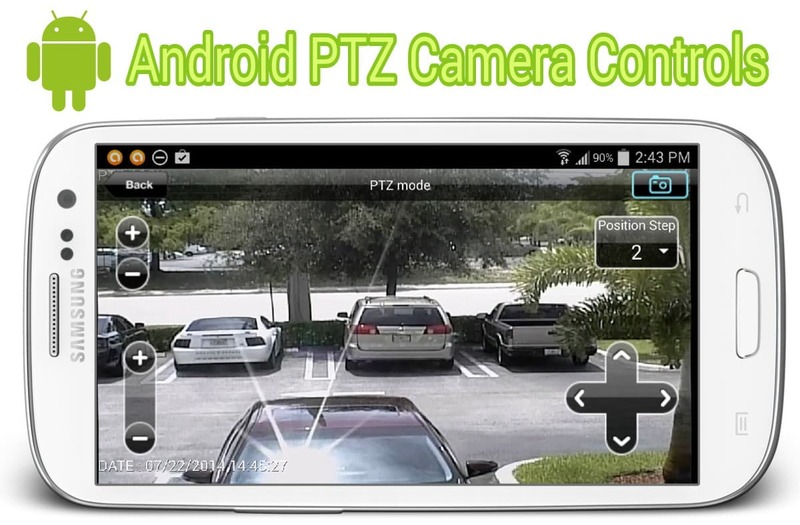 The Android app for iDVR-PRO CCTV DVRs supports pan tilt zoom controls for PTZ cameras. The PTZ controls from the mobile app work over WIFI and cellular connections (3G, 4G, LTE). 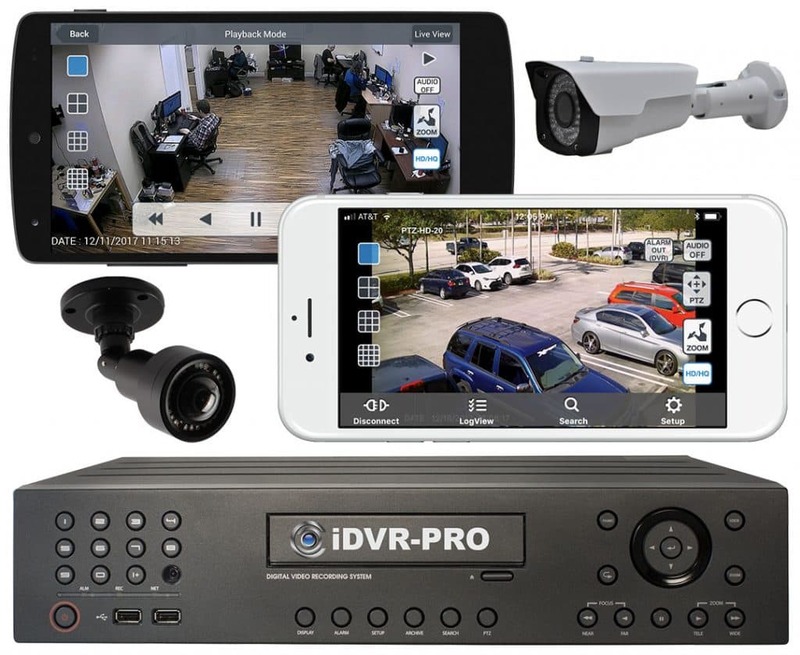 The app supports all iDVR-PRO model surveillance DVRs, which currently come in 4, 8, and 16 channel models. The app allows users to view the cameras connected to the DVR in single, four, nine, and sixteen camera grid view on one screen. 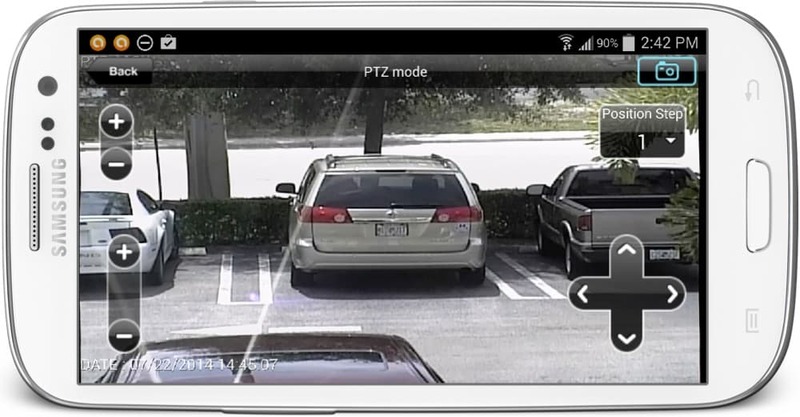 To control a PTZ camera, the user must switch to that camera in single camera mode, then tap on the screen and select the PTZ controls. Once selected, the PTZ controls for up, down, left right, zoom in, and zoom out appear. There is also a setting to control how fast the controls move the camera. The above image shows the PTZ camera that was used to capture these images. The camera on the right (the larger CCTV camera) is the latest PTZ camera from CCTV Camera Pros. 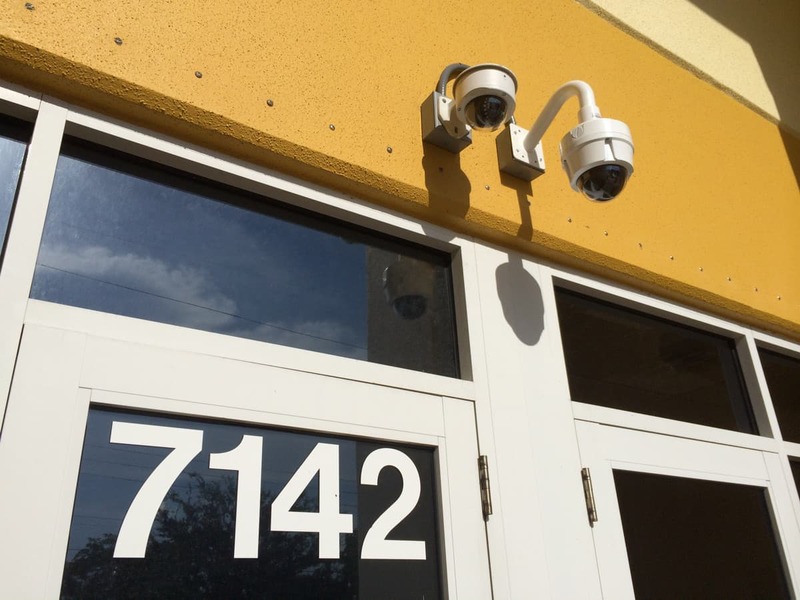 The camera is mounted above the front to our warehouse in West Palm Beach, Florida. iDVR-PRO DVRs and the Viewer app for Android now support 1080p HD PTZ cameras. Watch this video to see this 20x zoom HD PTZ camera controlled by iDVR-PRO. We will be making a video soon that demonstrates this camera controlled by the Android app. These images show different zoom levels using the PTZ camera from the Android app. The van that is zoomed in on is parked 70 feet away from the camera. 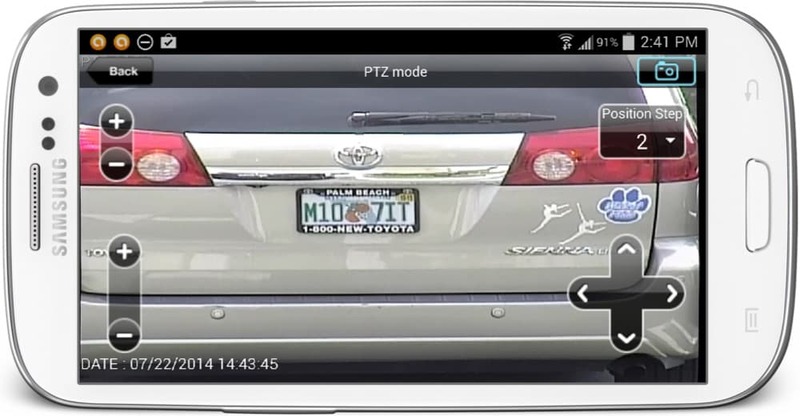 The 12x optical zoom built into this PTZ camera is capable of zooming in on the vehicle close enough to see the license plate. Please note that these images were captured using an analog CCTV camera. I highly recommend HD PTZ cameras now. This video demonstrates the Android DVR viewer app for iDVR-PRO surveillance DVRs. 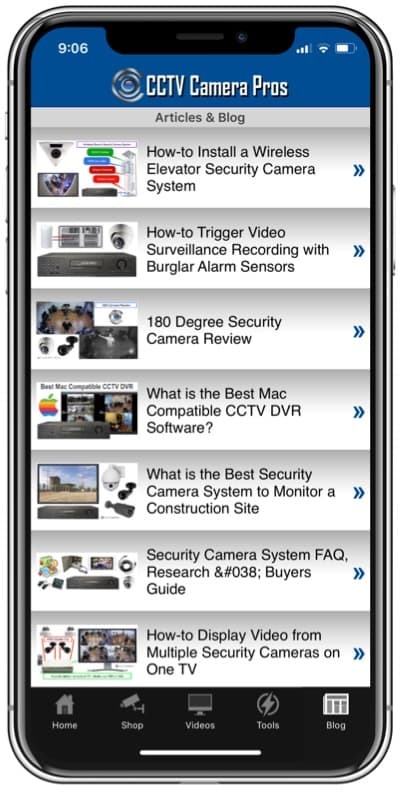 This video does not include a PTZ camera, but users can still see the awesome video quality captured by the fixed lens CCTV cameras that are connected to the DVR. Would you like to log in to the demo iDVR-PRO at our office using the Android app? You can also login from iPhone, iPad, Macintosh, and Windows if you would like. Please click here to request a demo login.